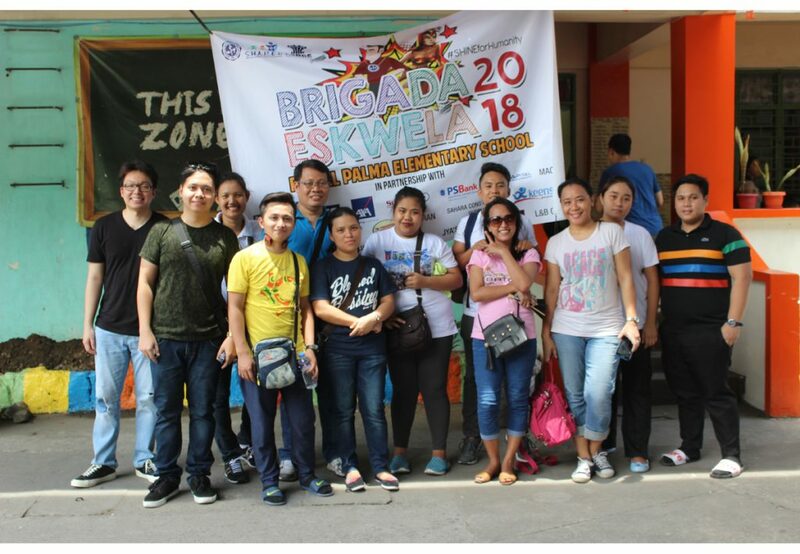 Manila Doctors Hospital once again joined the annual Brigada Eskwela last May 21 to June 2, 2018 at the Rafael Palma Elementary School and in the newly adopted school, Amado V. Hernandez Elementary School. Internal volunteers from various units, departments, offices, divisions and directorates of Manila Doctors participated in this endeavour. External volunteers from AXA Philippines, Philippine Savings Bank (PS Bank), GT Holdings, Sumisho Motors also participated in this activity. There were a total of 574 volunteers. Through its CSR Circle of Partners, Manila Doctors were able to provide painting and cleaning materials that were used during the Brigada Eskwela in both adopted schools. This undertaking was in fulfillment of Manila Doctors CSR school health program SHARED (School Health Advancement as a Response to Education Development).